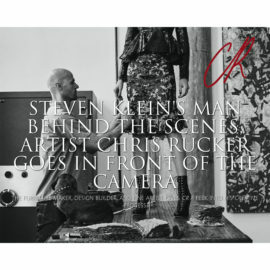 Made of recycled construction materials that seldom enter a gallery space except when transporting a work of art, Chris Rucker’s minimalist designs simultaneously accentuate and disrupt the original purpose of their utilitarian materials. 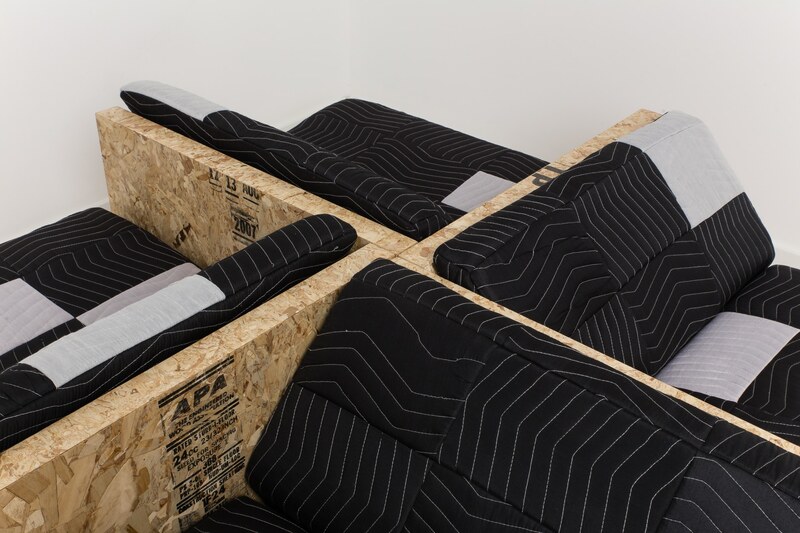 Blurring the boundaries between the durable and disposable and the delicate and permanent, Rucker’s works challenge notions of form and function. 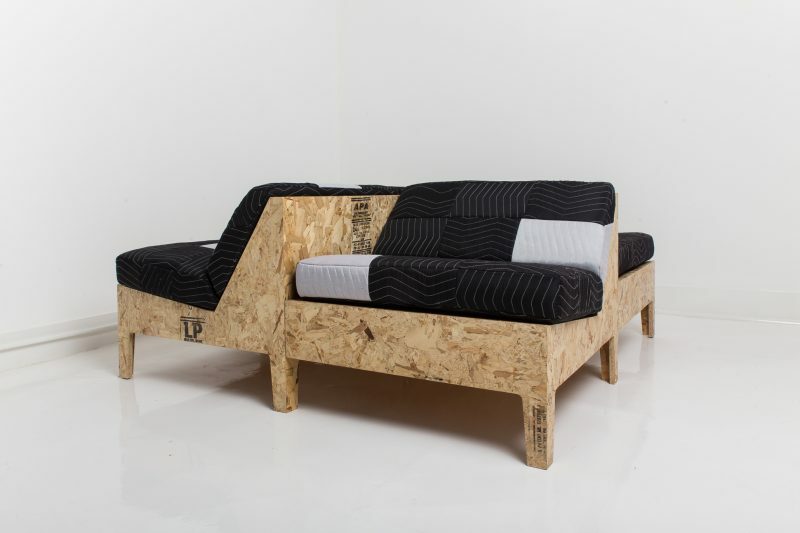 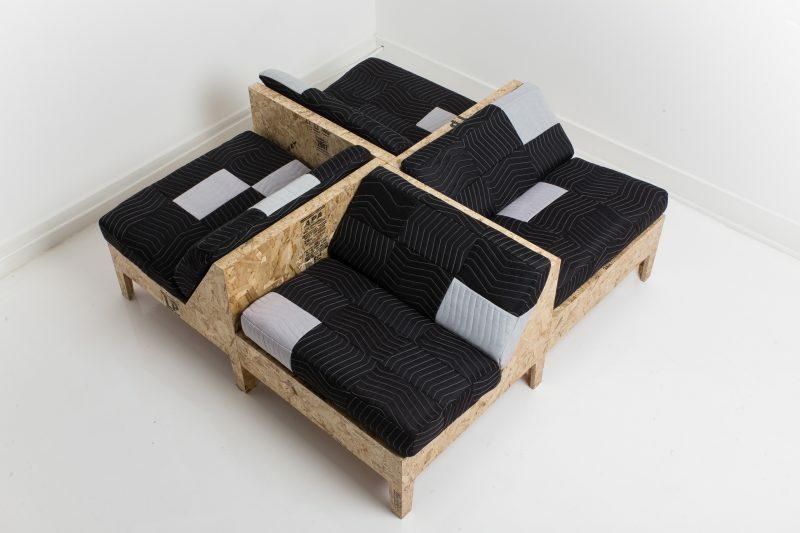 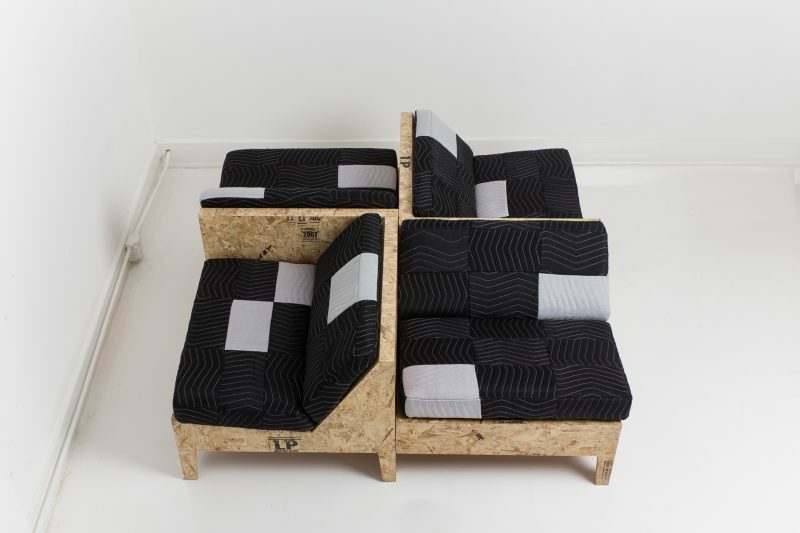 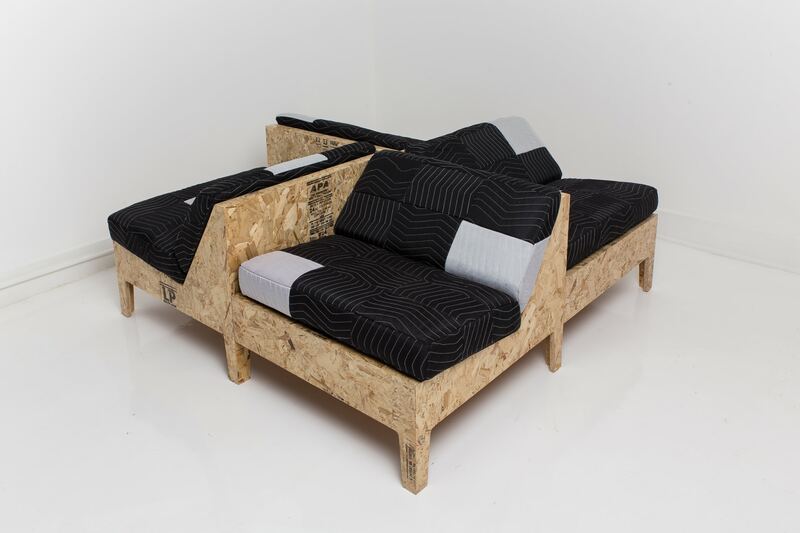 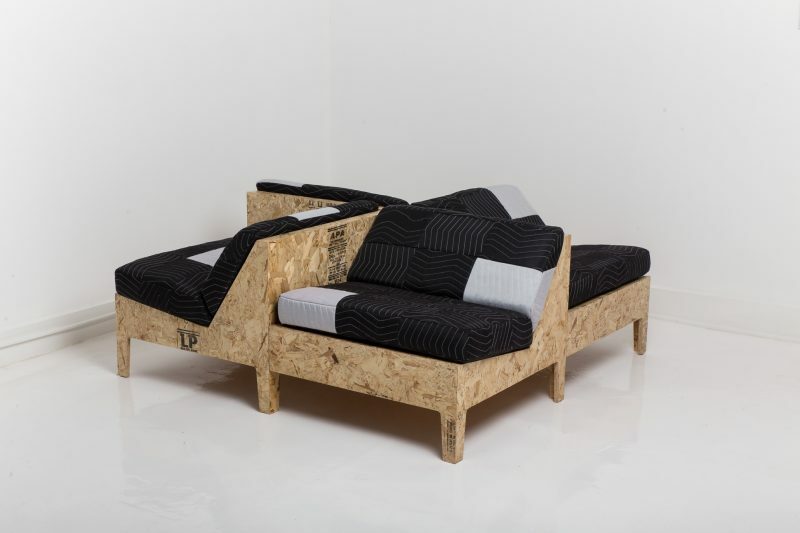 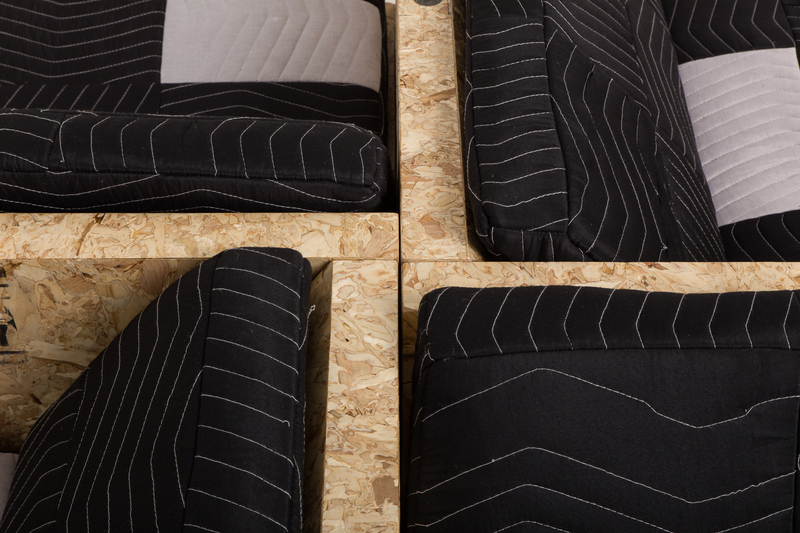 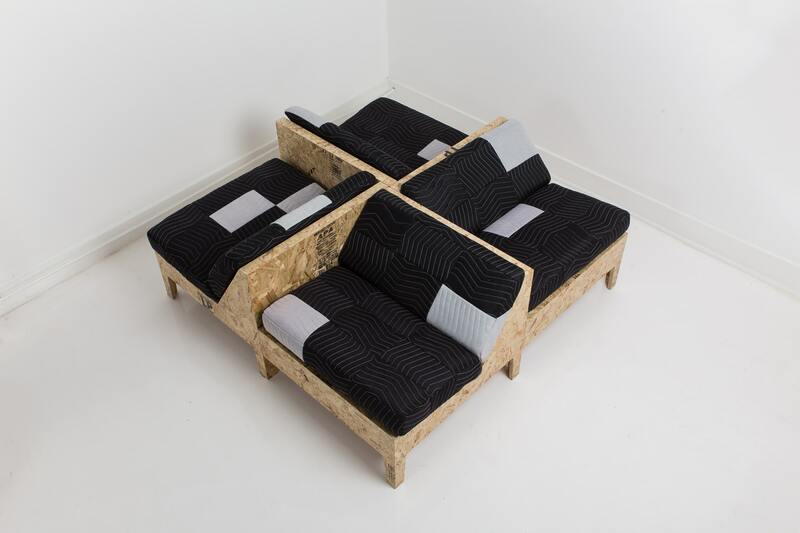 With four adjoined seats, the unusual Four Piece Lounge, made of OSB plywood and upholstered packing blankets, not only re-appropriates material, but also the “chair” type itself. 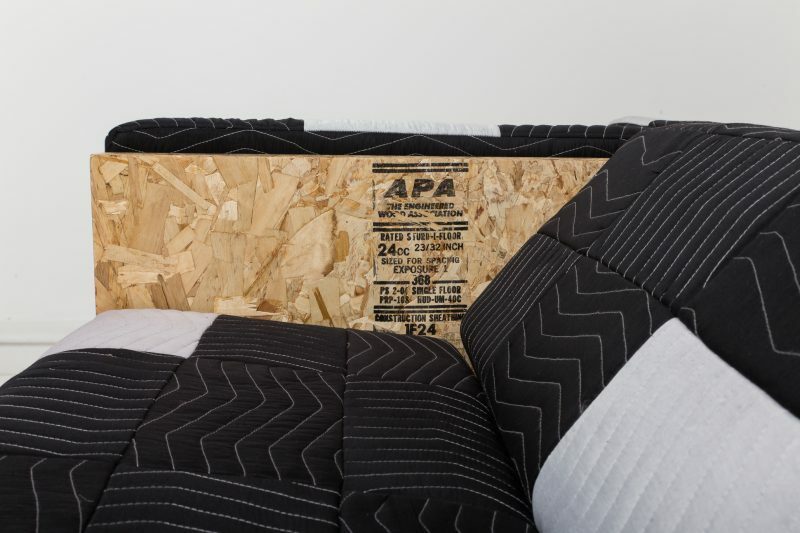 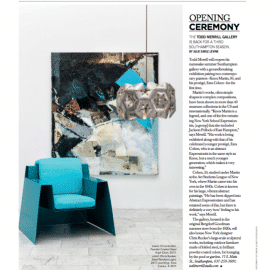 The lounge enters a dynamic relationship with any works of art that require Rucker’s materials for protection, but instead share with them an exhibition stage or designed interior space. 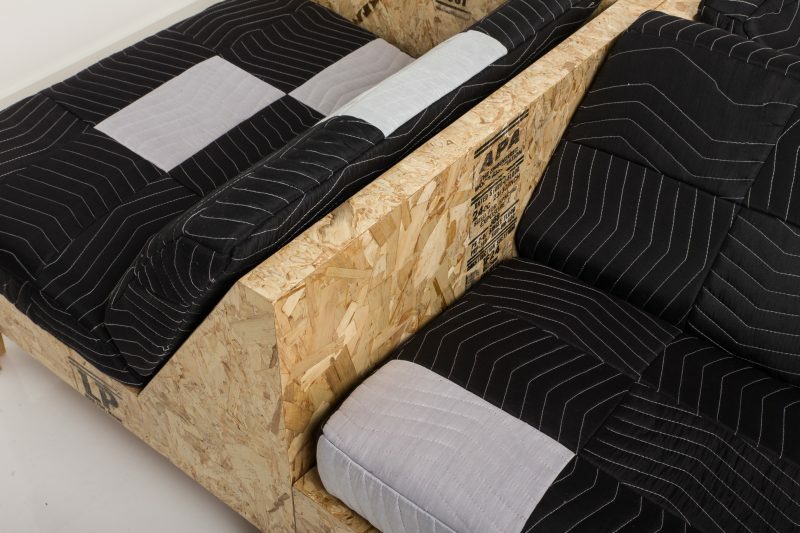 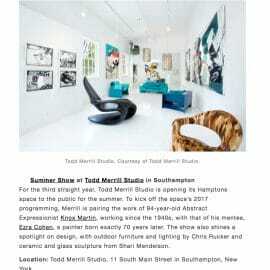 As the artist works on a commission basis, custom dimensionality may be accommodated.